There are so many interesting facts about planet Venus. 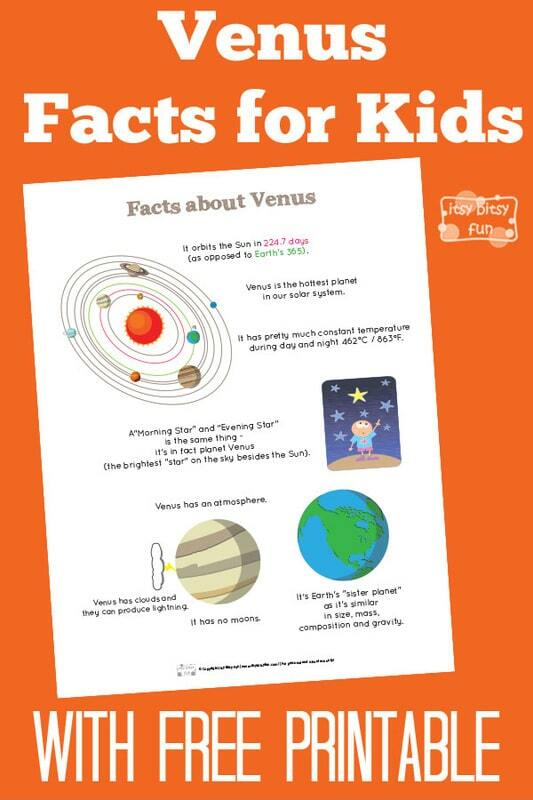 Let’s learn with facts about Venus for kids! We went through the solar system facts for kids the other day and now it’s time to take a closer look at the center of it. It’s Earth’s “sister planet” as it’s similar in size, mass, composition and gravity. “Morning Star” and “Evening Star” is the same thing – it’s in fact planet Venus (the brightest “star” on the sky besides the Sun). It orbits the Sun in 224.7 days (as opposed to Earth’s 365). It has pretty much constant temperature during day and night 462°C / 863°F. Venus has clouds and they can produce lightning. 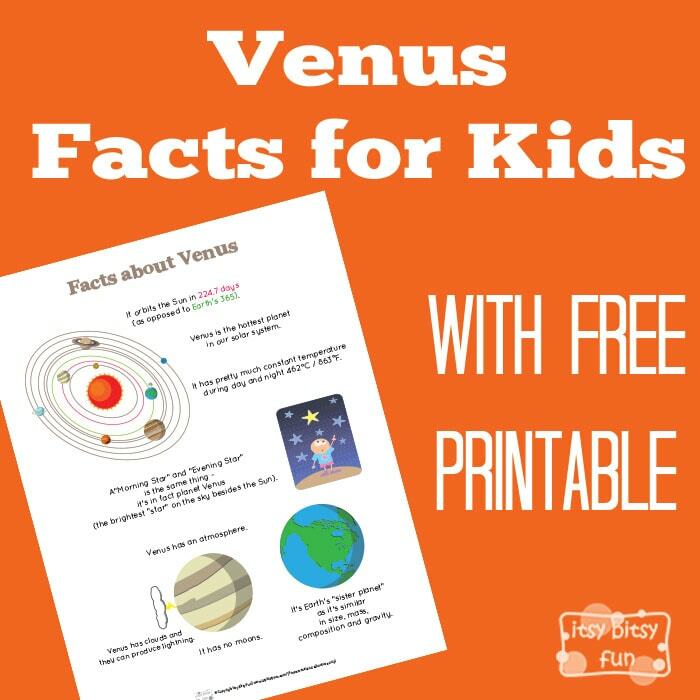 Get your free printable PDF with Fun Venus Facts here.